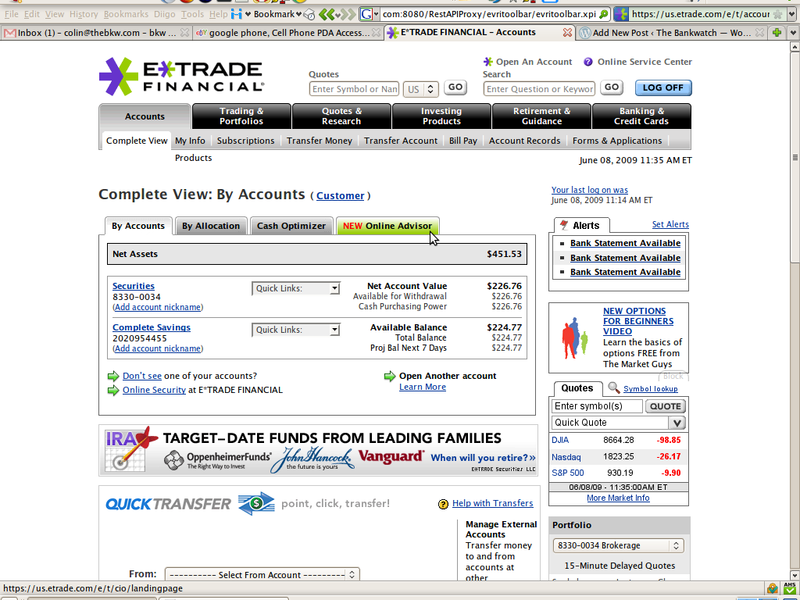 ETRADE have released a new Online Advisor service, and let me take a look at a demo on the US site to review. It walks the user through a set of relevant questions that source and validate the users investment needs, then produces an asset allocation model at the end. For the self service type who wish to move beyond gut feel, and assess one portfolio or their entire portfolio, this tool is a useful addition. Its the kind of thing that is worth an afternoon, and taking the time to properly assess the approach you would wish to take. These kind of tools are a good start in self service, but the key is how they maintain contact with the user over time. 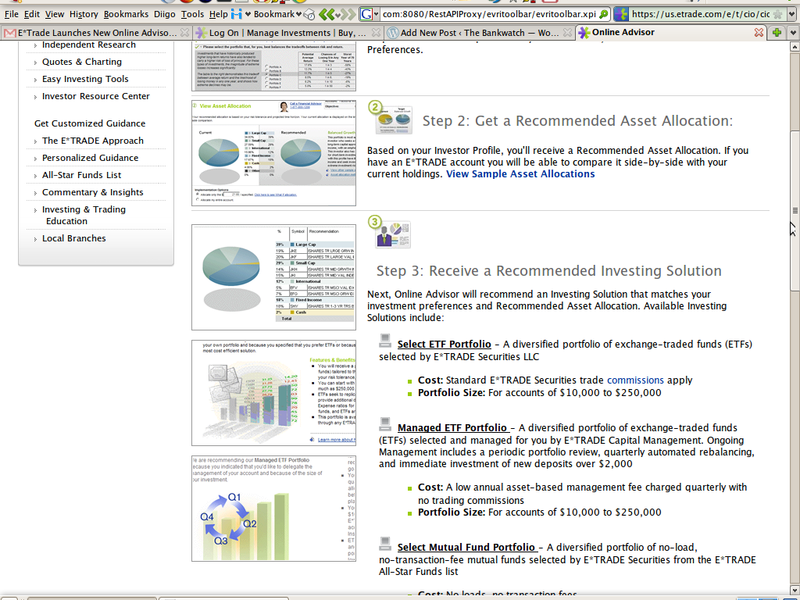 In this case it is starting to do that and the allocation results can be executed simply as new trades. They key however will be how this type of service provides ongoing feedback over time. Here are sample shots from a demo set up.